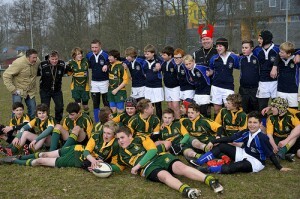 130330: Amstelveen Super Saturday: Amstelveen ARC U14 v Bridgend Athletic RFC (Wales). … and yes it did snow. 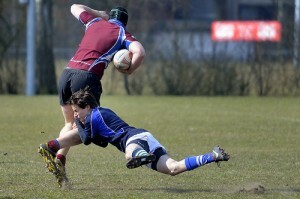 130330: Match 2 of Amstelveen’s Super Saturday. 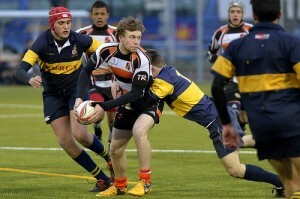 Where the Under 16s Amstelveen ARC take on the English team Silhillians RUFC from Solihull (Near Birmingham). 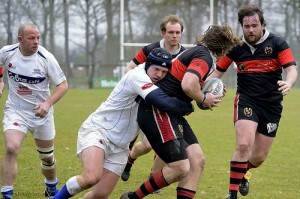 130324: Haarlem RFC2-Hawks v Amsterdam AAC2. 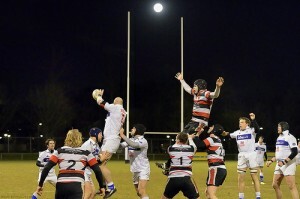 A very close-called match with Amsterdam winning 26-27. Additional photos by Guido on picasa. 130320: Liberation Cup 2013: Leiden Defenders v Cambridge University. 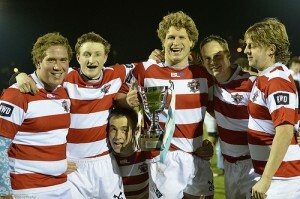 Leiden Defenders win the inaugural match of the Liberation Cup.